A large population of Ethiopians live outside of the country and send currency to their friends and families. 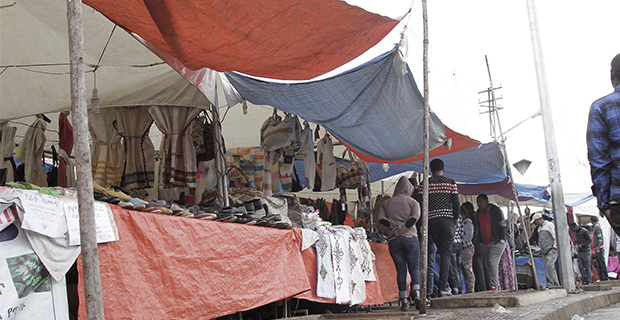 But with a higher exchange rate on the parallel market, those who look to exchange foreign currencies sent from outside the country look to the black market while those looking to purchase proceed to the banks, reports Berhane Hailemariam, FORTUNE STAFF WRITER. 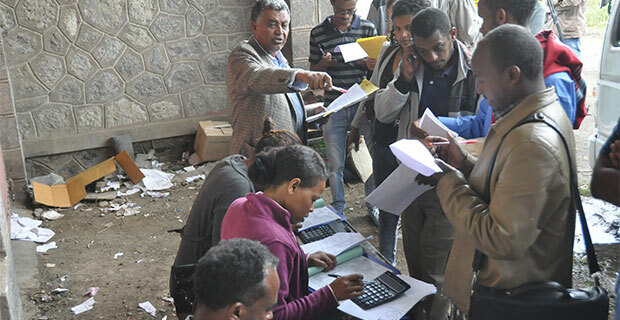 Service is provided at the remittance desk to a client at the Dashen Bank Bole Medihanyalem branch. Raffle advertisement posted to attract remittance customers at the Bole 18 Bunna Bank branch in Hayahulet. 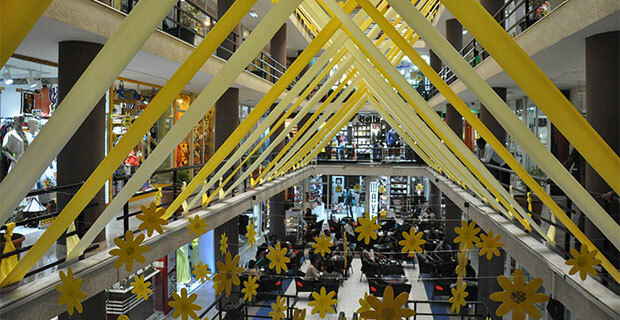 The holiday seasons are peak time for consumers to go out and buy goods. 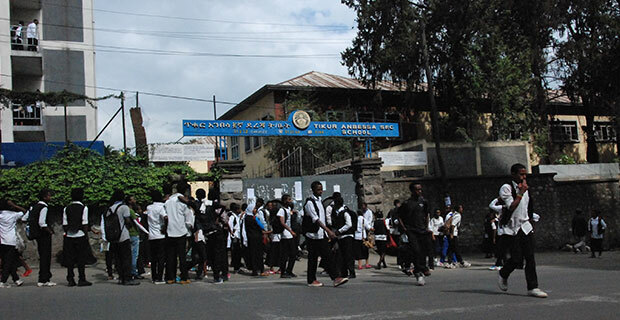 It is also a time when people of Ethiopian origin begin remitting to their friends and family back home. In anticipation of this, the banks are usually locked in fierce competition to collect the foreign currency that has recently come to outperform earnings from exports. This year is different though. 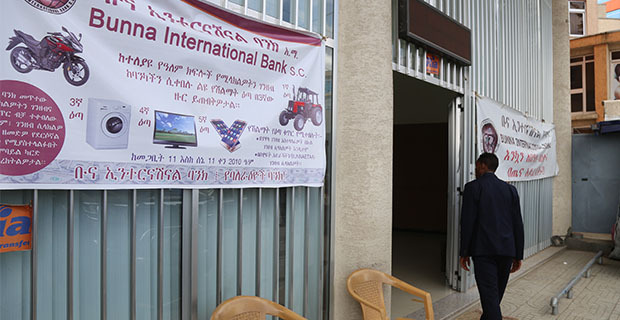 Awash International Bank’s branch in Bole Medhanialem is noticing that not as many people are coming to exchange the money they have been sent, into local currency. 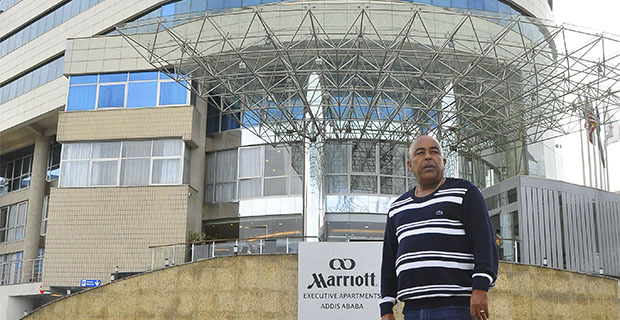 The outgoing branch manager, Berhanu Kebede, believes this shortage is a function of the expansion of branches by banks, diluting the supply. The bank branch to population ratio has declined this year, with close to 1,000 branches introduced in the last fiscal year. He also believes that it has something to do with the gap between the formal and informal exchange rates of the dollar against the Birr. The bank currently serves up to four customers a day that transacts foreign currency – usually between the range of 300 dollars and 500 dollars. The popular countries from which remittance sent are Dubai, Saudi Arabia, Kuwait and North America. This decline in the number of remittances being processed is being felt by other banks too. 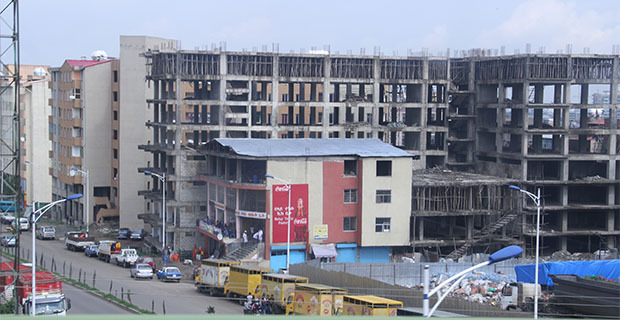 Mitike Anbessie, the deputy CEO at a Bole 18 branch that belongs to Bunna International Bank, around Awraris Hotel, says that there is a general slowdown, though not as severe. She also believes it is especially noticeable since the devaluation of the Birr. 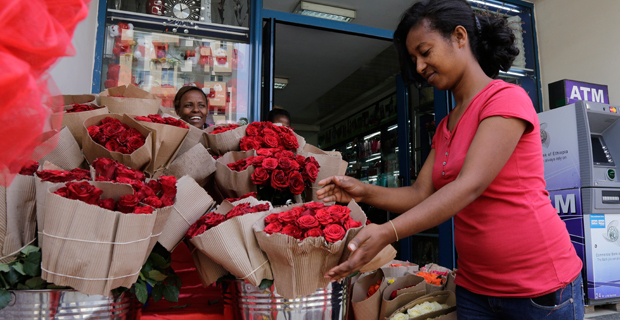 The peak time for remittances is September, when the Ethiopian New Year is celebrated, and the current season that sees Easter which is celebrated by the Christian-Orthodox, majority of the nation. “Each quarter school and higher learning institution-fee season also sees a spike in remittances,” Mitike told Fortune. 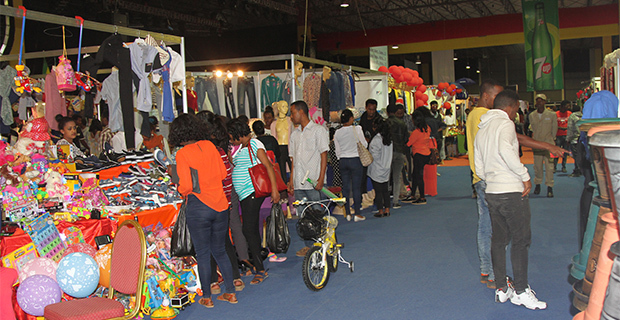 Bunna, like its competitors such as Awash, tries to attract clients through raffles. A client that exchanges foreign currency worth over 50 dollars at the latter bank will receive a raffle number with a chance of winning a prize and a 25 Br mobile credit. The branch earned 51,619 dollars from remittances and transfers to accounts held by the diaspora through agents in 2016. This figure more than doubled in the previous year. Within the months of January and March this year, the branch has gained 50,426 dollars from such sources. Cash remittance received from private individuals abroad in 2017 was 2.52 billion dollars which is lower than the previous year by 200 million dollars, for the bank that has over 167 branches. “The direct purchase of foreign currency is close to null at the bank for a long time,” said Mitike. 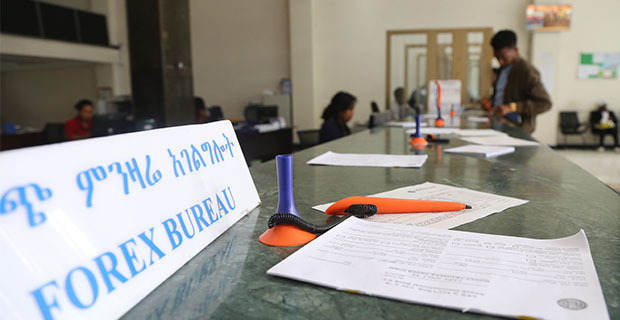 One customer of the eight-year bank, Bunna, is Meaza Desalegn, 62, who has come to prefer this branch at the expense of the one that belongs to Commercial Bank of Ethiopia (CBE) across the road. 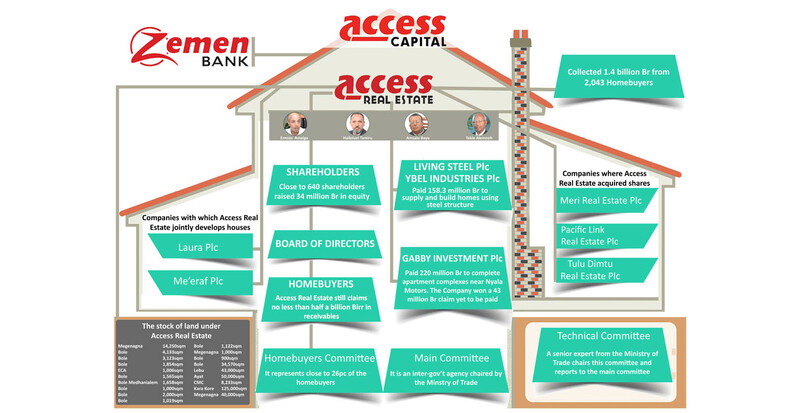 She confirms that the branch’s accessibility has helped her become a customer. She is a retired mother of two whose children in the United States send her money during holidays. Western Union is not the only agent for money transfer. Other popular ones are the likes of MoneyGram, Xpress Money and Dahabshiil. The number of financial services has grown as remittances have increased, despite the decline this past year. Although having shown a hike by over 16pc in the 2015/16 fiscal year, it grew by less than a percentage point last year to 4.4 billion dollars. The biggest bank in the nation, the state-run CBE, gained 1.9 billion dollars in the first six months of the past fiscal year only, which is 85pc of its foreign currency earnings. A macroeconomist who declined to be named believes this is a result of the growing gap between the formal and informal exchange rates. On the black market, a dollar currently fetches about 34 Br, while banks buy for under 28 Br. “The black market is too attractive,” he says. A branch manager at one of the private banks, Dashen, agrees with this assessment. Informal means of sending money could also be contributing to this, according to a study financed by the European Union (EU) dubbed, “Scaling up Formal Remittances to Ethiopia.” The study indicated that Ethiopians in the Middle East and South Africa are likely to be remitting informally, making up as much as 78pc of the amount that comes into the country. Experts note that the problem arises out of the severe foreign currency crisis the nation is facing. It is forcing importers to under-invoice and satisfy more and more of their needs with currency from the black market. This helps improve the black market traders’ dollar buying power, swelling the gap between the formal and informal modes of exchange. Currently, the country is in a backdrop of a forex crisis that led to the shortage of supplies even in priority sectors, such as medicine. Forex reserves at the end of the last fiscal year stood at 3.2 billion dollars, covering 1.8 months of imports, according to the International Monetary Fund (IMF). Remittance has been growing as globalisation has taken hold. A 2016 World Economic Forum (WEF) indicated that there are close to a quarter of a billion people living in another country than the one they were born in. The transfer of money between those that crossed borders and their friends and families has shown steady growth. Just in 2015, remittances were over half a trillion dollars, according to the Forum. Mexico, China and India were the biggest recipients of this wealth. There are 222,000 people of Ethiopian origin in the United States alone, the largest group from Africa next to Nigerians, in 2015 there was not much of a difference from the recent slump.